The containment of communism is a very controversial topic. Through my studies I have learned that it did work. 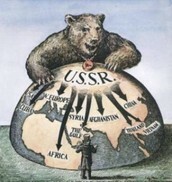 The correct English definition for "containment" is having communism not become abroad. Today only five countries ( most in Asia) are communist. If you look at the definition containment of communism did work. Communism in china all started after WW 2. 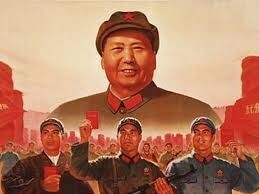 China had established a communist party led by Mao Zedong, and his Red Army. On October 1st, 1994 China became the largest communist country (by population). Zedong changed many of the rules and life of the people in China. 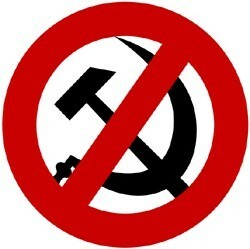 To this day China has become one of the only 5 countries in the world that are communist. 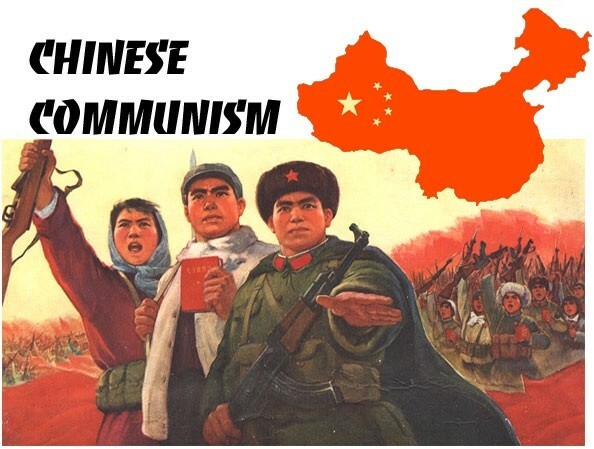 By becoming communist China helped spread communism because it was one of the largest countries in the world. 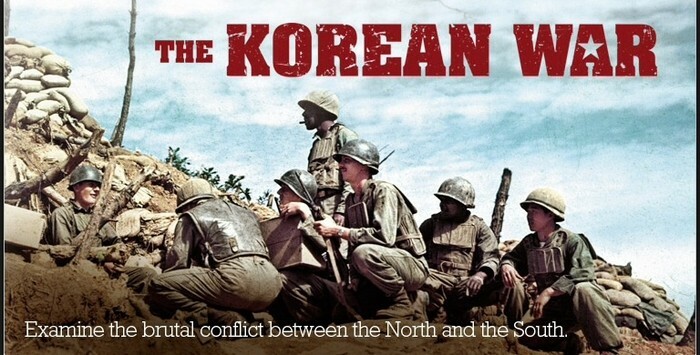 The Korean War was known as the seesaw war, because one side would loose land but end up getting it back. Today South Korea is a prosperous country embracing their democracy. 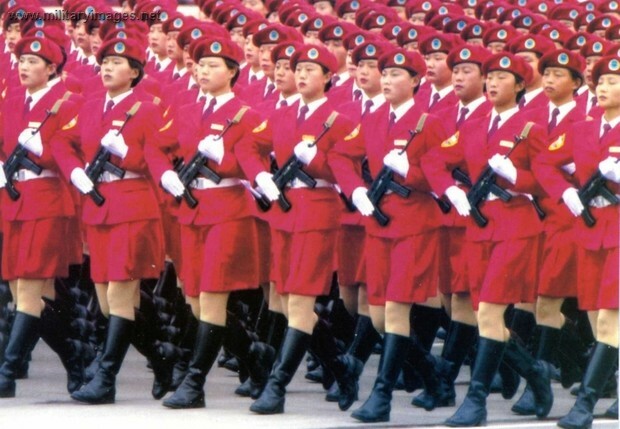 Although we did save North Korea from communism, North Korea is still a communist country. The Vietnam war was a difficult time for America because we lost many soldiers n the effect to make Vietnam non-communist. We did fight very hard but lost. Today Vietnam has remained a communist country. These wars helped with the spread of communism because it stopped one country from falling to communism, but we did loose Vietnam to communism. Tiananmen Square was when Chinese people were protesting against Mao Zedong. Many citizens showed up to try and stop the communism, but the Red Army came to stop it. 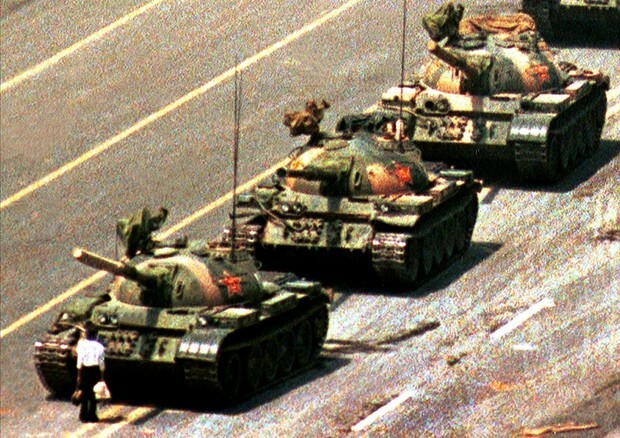 There is a man known as tank man who stood in front of about eight tanks not letting them through to the protest. He even claimed up onto a tank and was trying his hardest not to let the army get to the protest. He felt so passionate that he was willing to die for this. He was trying to stop communism, and if he had of been successful communism may have stopped in China. He was trying to stop the spread of communism, but he was unsuccessful. Maybe if there were more people up afraid of Zedong, communism could stop. In his attemps to make China the most powerful country in the world, Zedong extremly hurt his country. He wanted to put most of his farmers into factories. With no farmers there was no food, because of this the people of China began to starve. The droughts at the time didn't help the problems at hand. Starving people soon turned to dead people. The Great Leap Foward put a setback on the spread of communism, without it communsim could of spread very quickly. 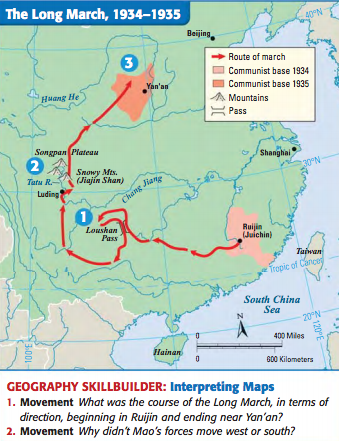 The Long March was when troops were fleeding China to escape from Zedong. In the march Zedong lost 93,000 of his men. But pesant farmers willingly became his new troops. The 6,000 mile journey was rough for the men, but Zedong was able to rebuild quick;y impacting the spread of communism. It did quickly pause the spread because Zedong was without an army. THis is when Mao Zedong began to change the freedoms of people and what they could do in now communist China. 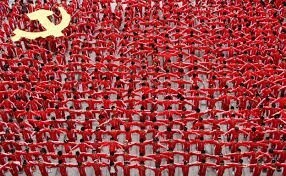 Something thet was very suprising is that Zedong recruted high school students into his red army. Because they didn't know a time without communism they thought it was a good thing. He also made the citizens only to celebrate the communist government. Because he recruted hight schools students who didn't know any better, this made communism spread quite quickly. All of these things either set back or pulled communism into the world. Today there are only five countries with a communist government. Without all of the painful wars there could be m=even more. 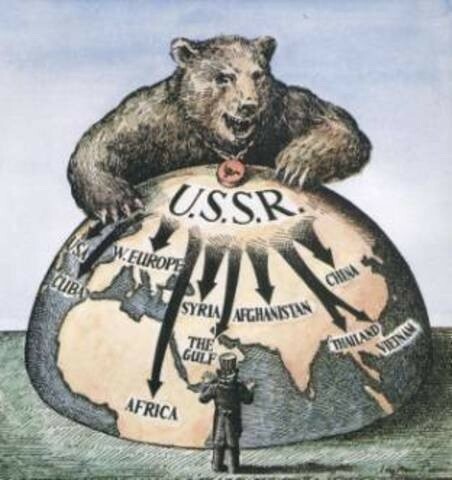 But containment of communism did work, if not then why are there only five communist governments in the world, us against communism would win world war three if it did happen.